A leading expert on Obsessive Compulsive Disorder explores the hidden epidemic that afflicts millions of Americans. 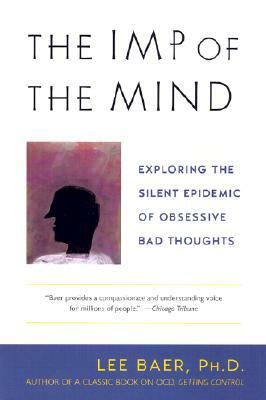 In the first book to fully examine obsessive bad thoughts, Dr. Lee Baer combines the latest research with his own extensive experience in treating this widespread syndrome. Drawing on information ranging from new advances in brain technology to pervasive social taboos, Dr. Baer explores the root causes of bad thoughts, why they can spiral out of control, and how to recognize the crucial difference between harmless and dangerous bad thoughts. An illuminating and accessible guide to the kinds of thoughts that create extreme fear, guilt, and worry, The Imp of the Mind provides concrete solutions to a tormenting and debilitating disorder. Including special sections on the prescription medications that have proven effective, it is "a beautifully written book that can be a great help to people who want to know what to do about obsessions" (Isaac Marks, M.D., author of Living with Fear: Understanding and Coping with Anxiety). Lee Baer, Ph.D., is an internationally recognized expert in the treatment of OCD and related disorders. Author of Getting Control: Overcoming Your Obsessions and Compulsions and The Imp of the Mind, Baer is an associate professor of psychology at Harvard Medical School and the director of research of the OCD unit at Massachusetts General Hospital as well as of the OCD Institute at McLean Hospital.